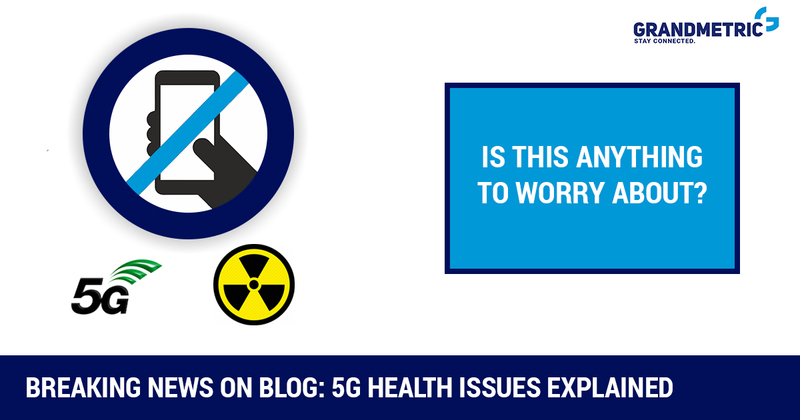 Announcements of a new mobile network technology generation (5G) have triggered a series of alarming claims about connected health threats. 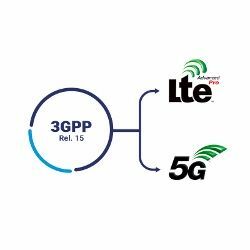 This is nothing new: this phenomenon is with us since the 1990s; those alarming claims have been made around the launch of UMTS (3G) in the year 2000, and with the start of LTE in 2010, too. This time it is quite a bit heavier than in the past, mainly due to the existence of social networks, which tend to spread alleged “bad news” and alarming stories literally at light speed. Public opinion is first and foremost against the cell phone towers as they are the visible landmarks of the technology. Each time a tower for a cellular network is built or planned to be built in a city or near a rural settlement, there is a new discussion about health issues of mobile phone or network radiation. It is about time to put things back into perspective. I’d like to deal with the reality of mobile network radiation in this post. My first statement here is: Major exposition of humans from mobile radio technology is from handheld phones, not from base stations! The reason is very simple. The power of electromagnetic radiation goes down with distance extremely fast when moving away from the transmitter. See the post https://www.grandmetric.com/blog/2018/02/20/explained-pathloss/ from Mateusz Buczkowski in this blog for a general introduction of the concept of path loss. where r is the distance from the source to the measurement point in meters. This is a formula due to the Japanese scientists Okumura and Hata, who have done endless series of measurements and have compiled them into empirical formulas. The Okumura-Hata formulas are internationally accepted and part of the mobile phone standards and acceptance rules. There are variants for different environments (city, rural) and frequencies, but they all show the same pattern. The formula in very simple terms says: the radiation power goes down almost with 4th power of distance. Let us try it out: Antenna transmission power is anywhere between 250mW (expressed as 24 dBm) for a Small Cell, and 120W for the largest 5G MIMO arrays (which is 50 dBm). A typical 2G, 3G, or 4G antenna has got a transmission power of 20W (43 dBm). 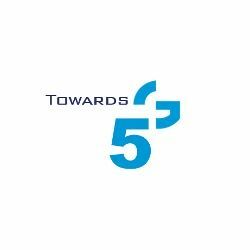 A 5G macro cell antenna will be placed up on a tower or on the roof of a high building. Height above ground is thus some 30 m, and we assume a position in 100 m distance from the antenna. Path loss can be calculated to as =82.5dB. The received power is 50 dBm – 82.5 dB = -32 dBm, which is less than one µW. A light bulb has about 60W energy consumption, and the emitted light and heat will be in that range. Since hat home your distance to a light bulb will be 2-3 meters. The impact from the light bulb on your body will be more than a million times higher. In is general consensus in medical and biological research that the only impact of microwave radiation, as the one used in mobile networks, is by heating up the target object. Let us have a look at phone radiation, then. The phone next to your head is transmitting at maximum about 200mW (which is 23 dBm). That is at least 10,000 times more than the signal received from the tower. Typical transmission power values of phones are a lot lower, though. The base station at the tower controls the power of the phone. It sets phone transmission power to a level, so that all phone signals are received at approximately same strength. If you are near a tower, your phone will transmit at a minimum level (which is below one milliwatt, again). Only if the reception from the tower is very bad, your phone will be commanded to increase transmission power. It may sound crazy, but: more mobile base stations mean less overall radiation levels. The power of phone transmission has gone down since the first generations of mobile communication. In GSM phones were allowed to transmit up to 1.0W (sometimes even 2W). You may remember that 20 years ago the typical heavy user was holding the phone against the head, and making voice calls all the time. With today’s smart phones the typical user does hardly make a phone call any more, and instead is holding the phone about 1m away from the face for screen interaction. The impact of phone radiation since the early 2000s has dramatically gone down. If there was any health effect from mobile phone radiation, we should have started to see it in the meantime. We had millions of users exposed to higher radiation than today in the past 20 years. For example, there is simply no increase in the cancer rates predicted by some people already since the year 2000. None of the studies that are always cited by the alarmist news have ever passed scientific quality reviews. They have been rejected on the basis of selection bias, too small sample sizes, and many other reasons. The WHO and national health administrations give a very critical review of these studies. Kurt Behnke received his PhD in Mathematics from University of Hamburg (Germany) in 1981, and his second degree (Habilitation) in 1986. He published more than 20 original research papers, joined the Max Planck Institute of Mathematics in Bonn as a guest researcher, was a Visiting Fellow at Warwick University, and was awarded a Heisenberg Research Grant from German Research Council in 1987. In 1991 he made a career shift to telecommunications, where he worked for Philips Communications on OSI system management applications for fiber transmission systems (SDH). In 1993 he joined the California based startup Raynet, and helped creating the first optical fiber access system. From 1997 on he worked for Ericsson in various national and international assignments. These included a position as Director of Customer Operations for T-Mobile International, and one as Head of Managed Services North Africa and Middle East. He went on old age retirement in 2017, where he keeps himself busy by starting to lecture part time on data communications and mobile networks at a local university, and he has occasional assignments for consultancy in the areas of LTE, 5G and machine-type-communications.